Why are my knees so noisy? As physical practitioners we have been increasingly aware of the influence placed on persons on their knee joint noise, formally known as Crepitus. In questioning about their presenting complaint, it is often the first symptom mentioned prior to pain or functional difficulties. For some individuals there is no pain, just noise! There are many reasons why joints make noise, with these being mostly non-arthritic. 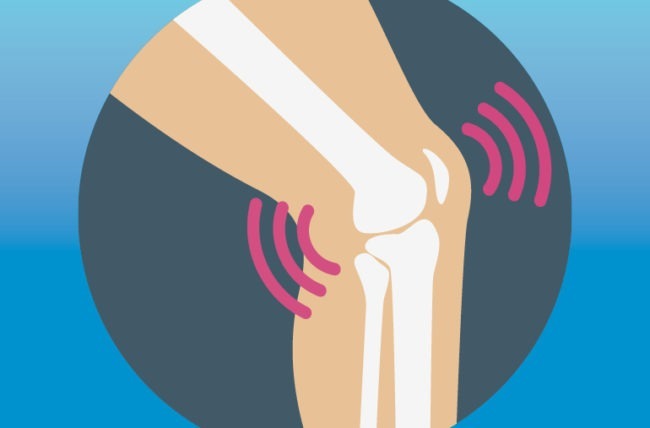 Although it may feel your ‘joint is wearing away’, crepitus is likely to be loud isolated cracks and pops that is either bubbles of gas releasing (similar to knuckle cracking), or the patella (knee cap) clunking into the central portion of the trochlea. If you have experience in these symptoms you are not alone as at least 99% of people WITHOUT knees issues have ‘noisy’ knees. It is important to note that pain noise is not interdependent as treatment can help pain, but noise may still persist. At MD Health we encourage not to avoid activity and exercise due to the noise, as the loss of strength can be far more problematic in future. Basis of Article referred from Robertson, C., 2017, ‘It’s like Chalk on a blackboard’ My Experiences Researching Patellofemoral Crepitus. Mskphysiojournal.